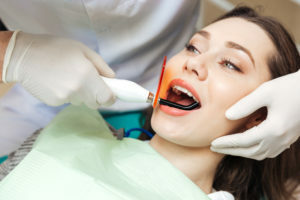 If your dental insurance offers benefits such as free teeth cleanings, annual checkups, and other services that don’t require out of pocket expenses, they often come with an expiration date. Many insurance companies that offer dental coverage require free services to be used by the policyholder and their dependents within the calendar year. That means that if you haven’t yet used your dental benefits, the clock could be ticking. With only a few weeks left in the year, there’s bound to be a mad rush by patients to get their free services before their annual benefits expire. So it’s more important than ever that you call to make a dental appointment for yourself or family members. In the same way that the weeks leading up to April 15 are the busiest for tax accountants, the weeks leading up to the year’s end are often some of the busiest around dental offices. So many people wait until the last minute to use their covered insurance benefits that the appointment calendar fills up very quickly. In other words, if you haven’t made your appointment yet, now is definitely the time. If you want to use your free benefits, you can’t afford to put it off any longer. If you have used your coverage to the fullest this year, it’s time to start planning for next year. Making all of your appointments now for next year can ensure that you get the dates and times that are most convenient for you. If you want until everybody else starts making appointments, you may have to settle for the times that are left over. And these may not be the ones that work best for you and your family. Getting the best appointment times and dates requires a little advanced planning.